Ever looked back in time and wondered where your childhood went? 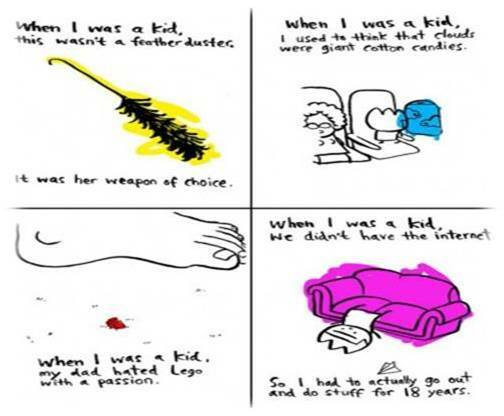 “When I was a Kid” 1 & 2 – a collection of memories of a typical Malaysian childhood reminds us of what it was like being a child growing up in the 1970s-1980s (I suppose this gives away our age), enjoying the simpler things in life and often missing the point our parents are trying to make to get us to behave. 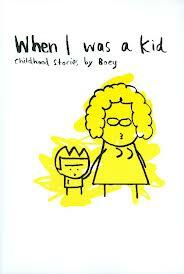 “When i was a kid” is a book about surviving school, siblings and parents. it is about imaginary heroes, the lies adults like to tell and the dangerous mix of boredom and curiosity. 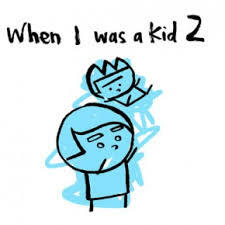 When I was a Kid 1 and 2 is an autobiographical graphic novel based on the experiences of author-artist Boey Chee Ming’s childhood life. With easy to understand and witty dialogues, Boey manages to keep his stories alive and comprehensible to his followers whose demographic range from the adolescences to grown ups. His drawings are equally impressive as they are kept as simple and straight forward as possible, without losing the essence and meaning to describe the story. Settings are basic – in his childhood environment – at home, in school, with his family, and how he keeps himself busy as a kid. The typical Malaysian family characteristic of the era is hilarious yet real. A strict father with hard to understand habits, a doting mother who cares for the family but is constantly in a fix when it comes to dealing with domestic issues (and a son), a child growing up in a time where things are fast changing, people are moving between the conservative to modern lifestyle but constantly find themselves in a rut of whether one is better than the other. Dialects and antiques of a typical asian family environment adds to a lot of humour too in his day to day life growing up in Malaysia. When seen through the lense of an outsider, you can’t help but laugh at how ridiculously funny the story appears to be; compared to the time when you were the story and it seemed quite contrary to be stuck in a more often than not awkward and confusing moment. We first came across Boey’s work through a Youtube video of his popular graphics on styrofoam art works, leading us to his Kickstarter.org website, where we contributed to his project for When I Was A Kid 2. Things have taken off since for Boey. In addition to months’ long book tours across Malaysia, a weekly section in The Edge Malaysia (mind you, this is the only illustrative story given a dedicated column in this weekly business-focus publication), and numerous WIWAK merchandise, Boey is already looking to kick off a new project soon. Track his daily work, his current projects and his lively feeds on his website www.iamboey.com – It is nothing short of humour, revelation and randomness that we need in life for a-pick-me-up anytime and anywhere. 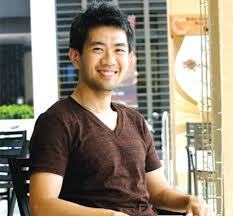 Posted on January 24, 2014 by ChalkandRaddyPosted in Visual ArtTagged Boey, Boey Chee Ming, When I Was a Kid.